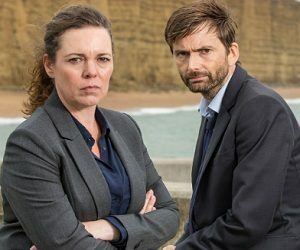 ITV has released the trailer for the third season of Broadchurch, set to premiere on Monday, February 27, at 9pm. suspecting her husband, a fellow farm worker and a local mechanic. The crime drama TV series created by Chris Chibnall stars also Arthur Darvill, who plays Reverend Paul Coates and praised the latest scripts. The song used in the trailer is “Shine On You” by the choral pop singer Empara Mi.